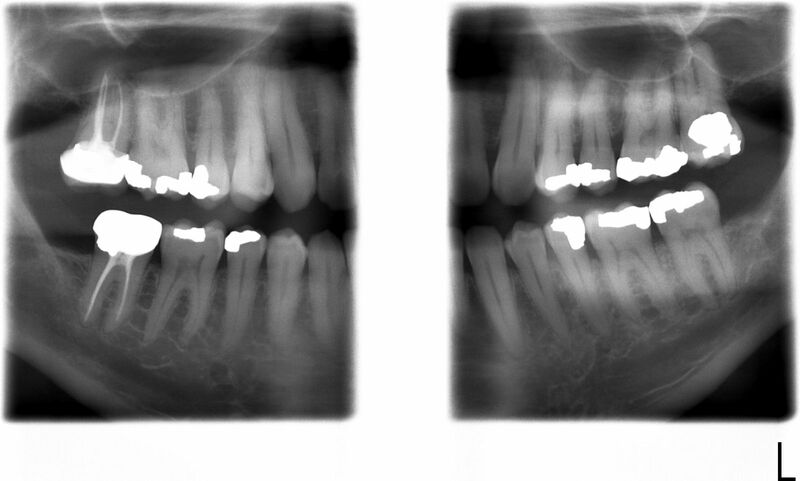 Concerned about the risks of radiation from dental x-rays? So are we. The following page shows the most common dental x-rays, why we take them, and how frequently we recommend they be taken. X-rays enable us to detect dental problems in the early stages, when treatment is less invasive and less costly. Our office uses digital X-rays. The images are dated and stored for each patient in our computer system. Copies of digital X-rays can now be easily printed out on paper or emailed. There are three different X-ray views that we use. 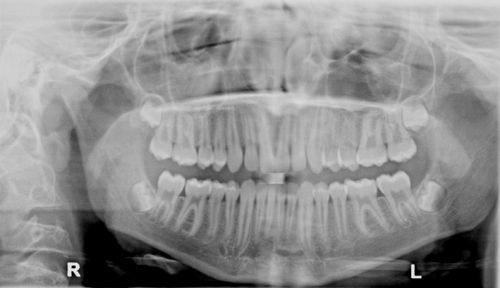 “Panoramic” X-rays show all the teeth and oral structures in one view. It is our preferred view for the initial exam as it gives us a quick and easy snapshot of what’s happening in your mouth. It provides the best view for evaluating wisdom teeth. Since nothing has to go inside the mouth, the panoramic X-ray is comfortable even for the most severe gagger. The recommended frequency for taking panoramic x-rays for children is every 3-5 years and for adults every 5-7 years. 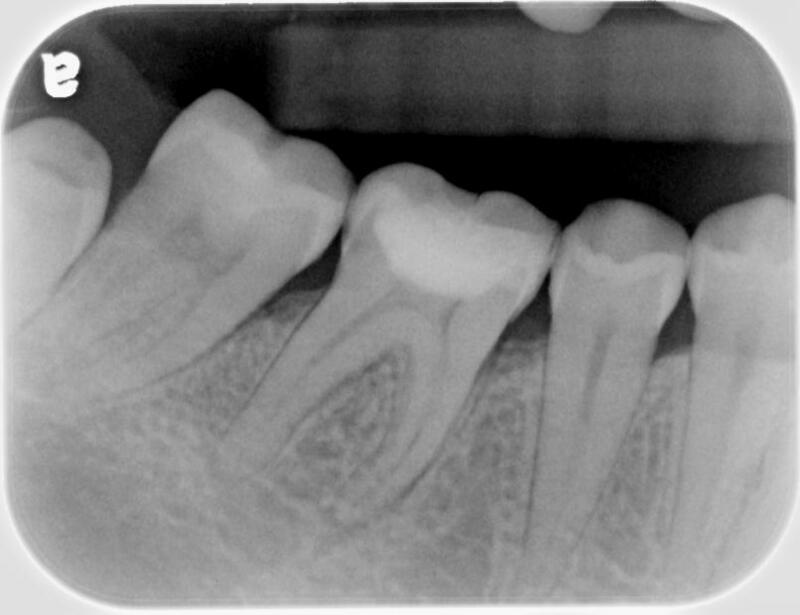 Individual “Periapical” X-rays show a close up view of the entire tooth and surrounding bone. We take this view when we need to see a particular area with the highest detail. 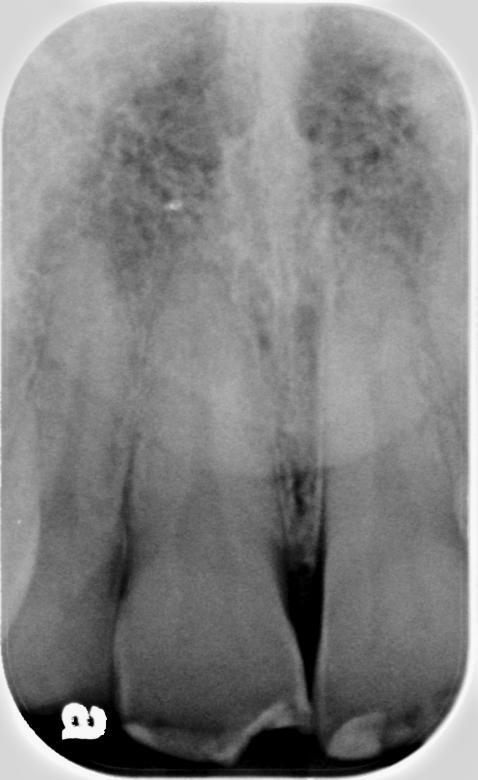 We recommend that periapical X-rays be taken as needed to evaluate specific concerns. “Bitewing” X-rays show the upper and lower back teeth. We use them to check for cavities, evaluate existing fillings & crowns, and to evaluate the supporting bone. It is our most useful view for periodic check-ups as it shows the areas most likely to have issues.